Costa Cruises said it appears “significant human error” by the captain of the Costa Concordia possibly caused the 114,000-ton ship to hit rocks and tip over on its starboard side in waters off the coast of Italy. Five people were killed and 15 remain unaccounted for. Schettino was detained by Italian authorities on suspicion of manslaughter and abandoning ship, according to local news reports. The captain maintained in an Italian TV interview that he was the last to leave the ship. In the statement, Costa said the company is “deeply saddened by this tragedy, and our hearts and prayers go out to everyone affected.” More than 1,100 Costa employees have been working in the wake of the accident, supporting ongoing search-and-rescue operations and helping guests and crew members return home. Costa said all crewmembers hold a BST (basic safety training) certificate and are trained and prepared in emergency management and to assist passengers abandoning the ship with numerous drills. Every two weeks all crewmembers perform a ship evacuation simulation. 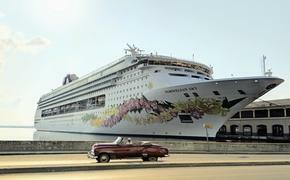 The company also said a lifeboat and evacuation drill for all guests is conducted within 24 hours of embarking, as required by law, although some passengers reportedly said that did not happen. Costa has a computerized system that ensures all passengers undergo this drill. Costa also said there are lifeboats and jackets on board in excess of the number required for all passengers and crew.